Are you in the mood for something different? 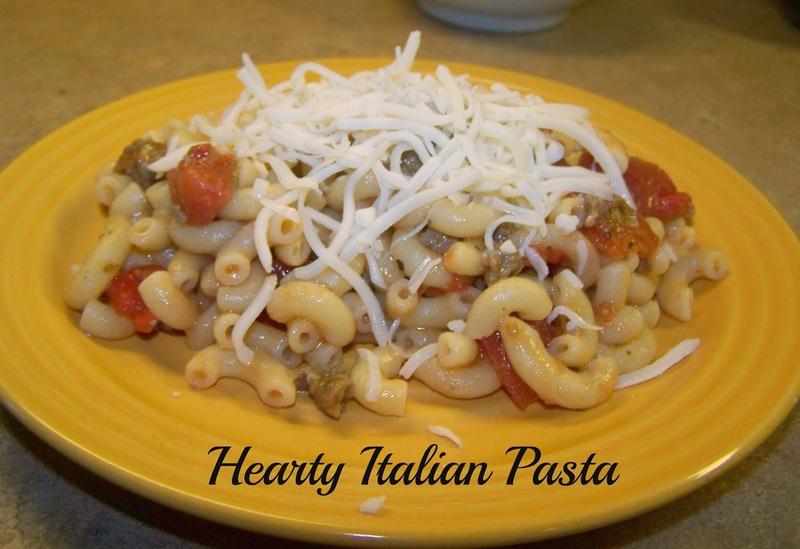 This delicious recipe is one of our family's favorite meals. It is big on flavor and small on effort. It can be prepped ahead of time and put in the crockpot or just baked in the oven. Best of all, the leftovers from this tasty recipe can be easily reincarnated into a pasta dish. 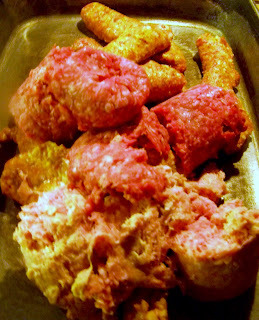 1) Brown over medium heat 1 lb ground turkey, 1 lb ground beef, and 2 lbs italian sausage. 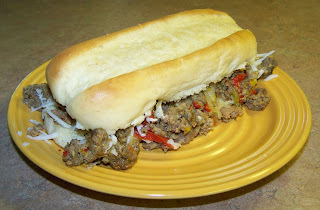 We like to use 1 lb hot italian sausage and 1 lb mild italian sausage. If your family prefers less spice, just use 2 lbs mild italian sausage. Do not cook the meat completely. It will finish cooking in the oven or crockpot. 2) While the meat is browning, slice or dice 2 medium onions (white or yellow), 2 red bell peppers, 2 yellow bell peppers, 2 green bell peppers and 3 garlic cloves. You can substitute all green bell peppers if you can't find red or yellow. I've done this in a pinch but I do think it changes the flavor somewhat. 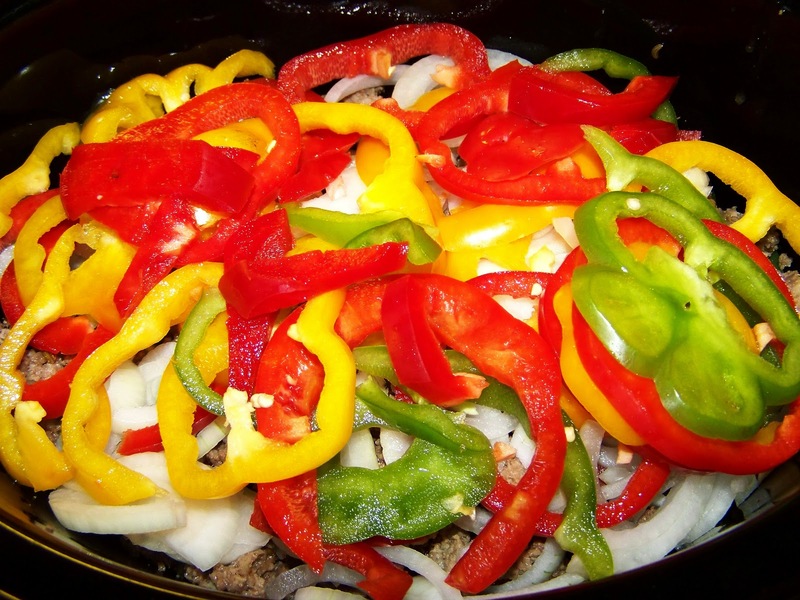 3) Layer 1/3 of the browned meat, 1/3 of the onions and garlic, and 1/3 of the bell peppers. Sprinkle with Italian seasoning. 4) Repeat layers two more times. Cover tightly and bake in 350 degree oven for two hours or put in crockpot on low for 6 to 8 hours or on high for 4 to 6 hours. 5) Serve on sandwich rolls with shredded monterey jack or mozzarella cheese. 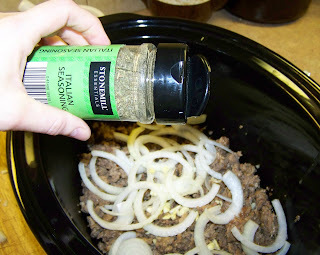 Use a slotted spoon to scoop the meat mixture since it is really juicy! For a special added touch, toast the sandwich rolls first. It adds a nice flavor AND helps keep the bread intact. Mmmm - delicious! Your whole house will smell like a wonderful Italian restaurant when you make this meal! This recipe feeds our family of eight plus leaves us with enough leftovers for one more meal. As a base for another meal, to a cup or two of the meat mixture add two cans of diced tomatoes, one tsp italian seasoning and a sprinkling of garlic powder and salt to taste. 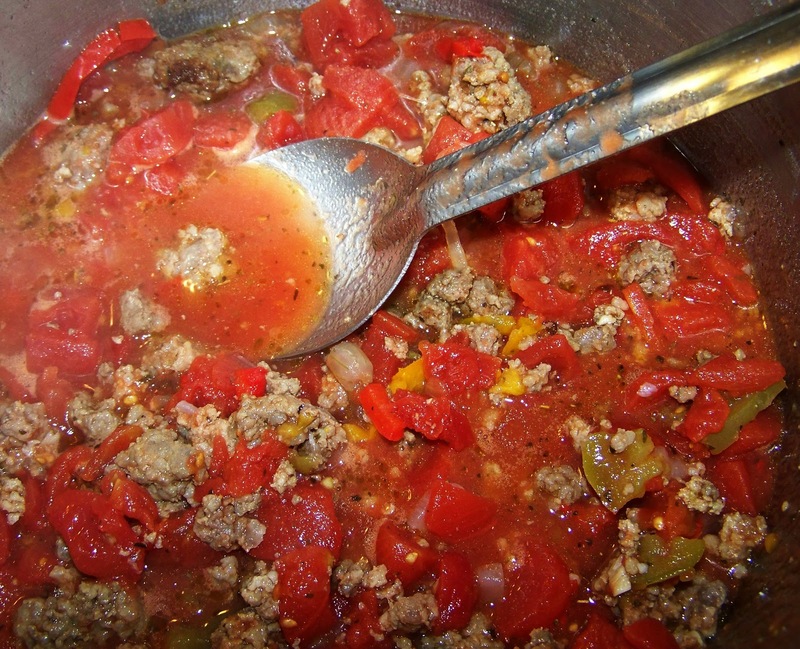 Simmer for 5 to 10 minutes and serve over pasta. Top with cheese and you have another delicious meal! For a collection of great crockpot recipes check out this book. It's one of my personal favorites.